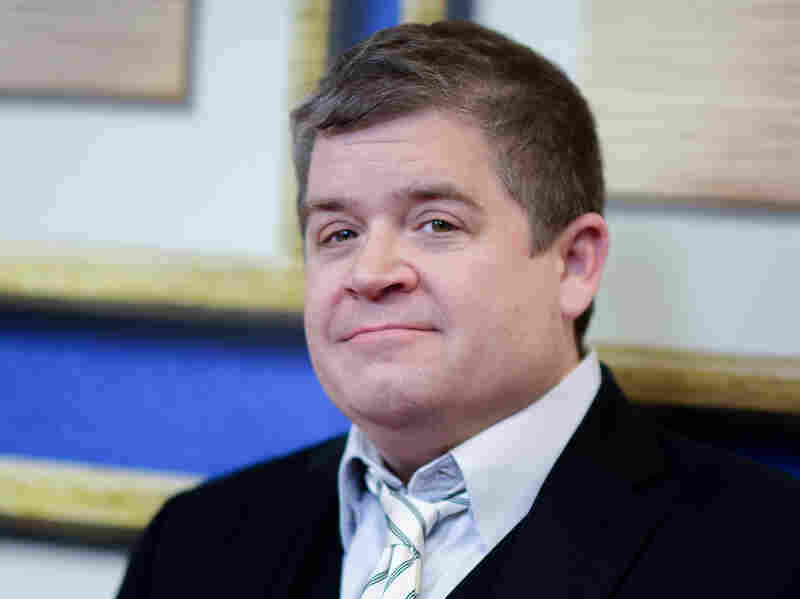 Patton Oswalt Explains How Pop Culture Gets Grieving All Wrong Nevermind the superhero stories; after his wife died, Oswalt wasn't motivated to channel his loss into fitness or crime fighting. He says so far push-ups have not been a part of his grieving process. Early on, Patton Oswalt's jokes were about being single. A few years later, his comedy was about getting engaged, having a baby and becoming a father. Now, his upcoming special is about his life as a widower. When it comes to depictions of grief, comedian Patton Oswalt says pop culture failed him. Just look at super heroes, he says — their motivation is often rooted in loss that "leads them to travel the world learning martial arts and doing CrossFit and getting really cut," Oswalt says. "And that's not been my experience." 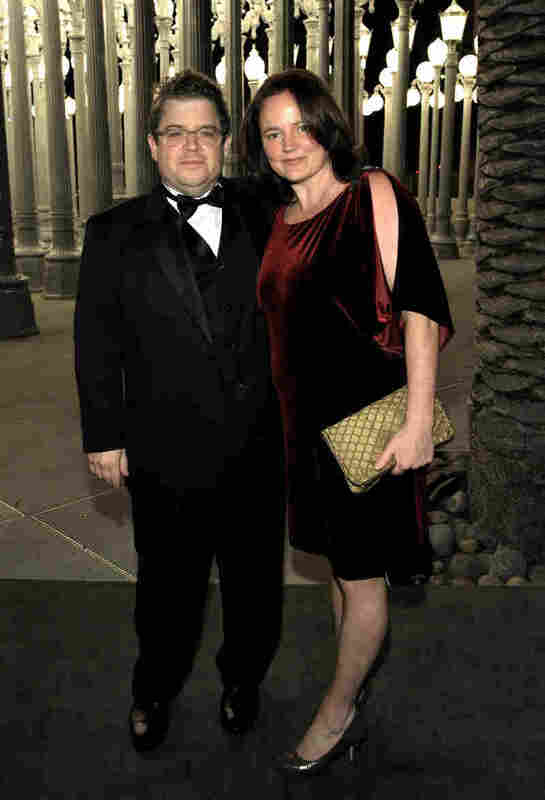 Oswalt experienced his own tragic loss on April 21, 2016, when his wife, writer Michelle McNamara, died unexpectedly, leaving behind Oswalt, and their young daughter, Alice. "When you lose someone you tend to eat Wheat Thins for breakfast and rewatch The Princess Bride about 80 times and not sleep all that well," Oswalt says. "So I don't know when the push-ups are going to show up in my grieving process." Less than a year after McNamara's death, Oswalt won a Grammy Award for Best Comedy Album and his first Emmy award for his Netflix standup special Talking for Clapping. In his acceptance speech, he said he wanted to share his award with two people: "One of them, my daughter, Alice, is waiting at home. The other one is waiting somewhere else — I hope." Oswalt — who also starred in the sitcom The King of Queens and the animated movie Ratatouille -- has now returned to the stand-up stage. He recently headlined two shows in Washington, D.C., and he sat down to talk about how he handled a year that was professionally one of his best and personally his absolute worst. Michelle McNamara was a blogger and crime writer. When she died, she was writing a book about a series of unsolved cases in California. One thing that I've learned since what happened to me happened is: You don't know the kind of pain and loss other people may have gone through — even close friends and acquaintances. ... In really awful science fiction terms it is like putting on the sunglasses in They Live and then seeing the world for what it really is. Do you know what I mean? Obviously I knew there was loss and death and depression, but you can only sympathize so far until it directly happens to you. I think the reason that I'm still doing stand-up is because — before the movies and television and before the books — stand-up is what brought me into this world where I get to link up with way more creative, way more intelligent people than I am ever going to be. And to cut that off, it felt like an insult to Michelle. Especially because the person that I was before I met Michelle was very, you know, I think I was an OK comedian — I don't think I was very deep and vulnerable. And then after falling in love with her, she led me to being secure enough to open myself up on stage. So then to completely reject that would have felt very, very insulting to her. My goal, as always, is I want to be funny and I want to get laughs. But laughter I think can loosen up a lot of poison that has kind of settled into your muscles and your soul — not to get too Oprah about it. And maybe incidentally I'm helping someone out with their grief. But I'm not going onstage and sitting in a chair and going: Let's talk, everyone. I'm wandering around, and griping about Trump, and movies, and life, and getting older. Bruce Wayne saw his parents gunned down in front of him when he was 9 and he travels the world and becomes this amazing [crime fighter]. ... That's ridiculous — he would have grown up to have been Gotham City's most annoying slam poet. That's what Bruce Wayne would have been. He would have been up there reading his horrible poems. Sorry for bumming you out. I'm very sorry. Go walk for half an hour; it will flood you with endorphins. ... What am I saying?! You're NPR listeners. You're used to being bummed out. Now let's cut to some sad jazz. Stay tuned: We're going to talk about things to do with sorghum. It's sorghum season! Radio producer Jinae West and digital producer Beth Novey contributed to this report.